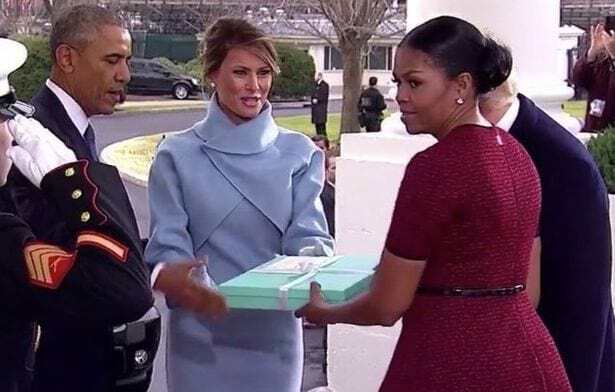 Many people noticed the hilariously awkward moment when Melania Trump handed Michelle Obama a blue box that screamed none other than Tiffany and Co. The two first ladies hugged and kissed before Melania handed Michelle the gift, who then quickly looked for somewhere to put it down so that they could pose for a photo. 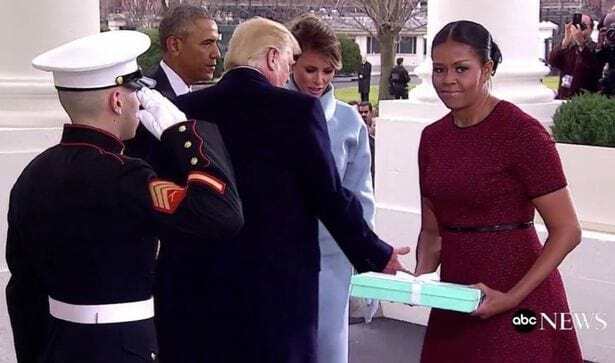 With the face that Michelle pulled, I reckon the box contained a copy of the speech that the new First Lady stole, almost verbatim, from her (that would have been great banter from Melania). But it wasn’t. It was simply a weird moment and left everyone wondering what was in the box. The White House has been a patron of the House of Tiffany & Co since Abraham Lincoln. After some detailed investigations of the luxury jewellery brand’s catalogue, here are some possibilities of what could have been in the large, thin box. 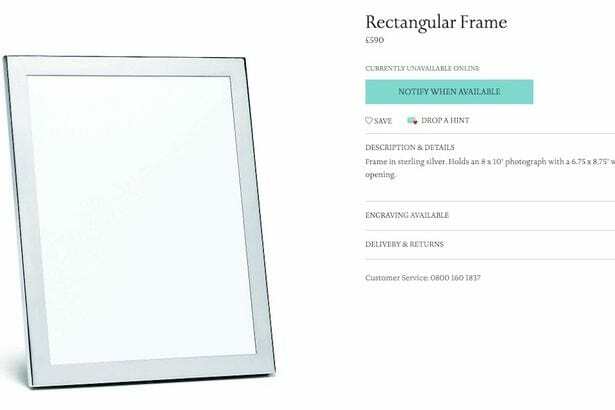 The most obvious item that would fit the box is a fancy photo frame, which Tiffany sell plenty of, ranging from £430 to almost £600. 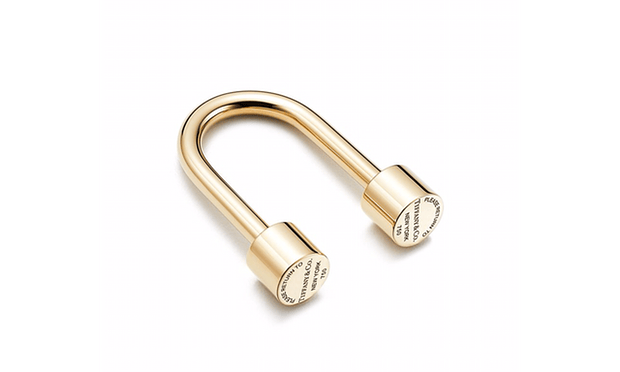 One of the brand’s most popular items is their u-shaped golden key ring, perhaps for the Obama’s new home in Washington. This item would have set the Trump’s back £2,432 ($3,000). 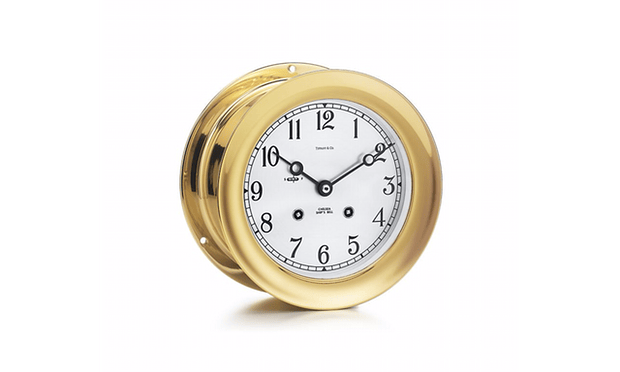 Another potential present is a gold ship’s clock, perhaps signalling the end of the Obama’s time in office… though that would be a pretty passive aggressive gift, setting them back £2,260 ($2,800). 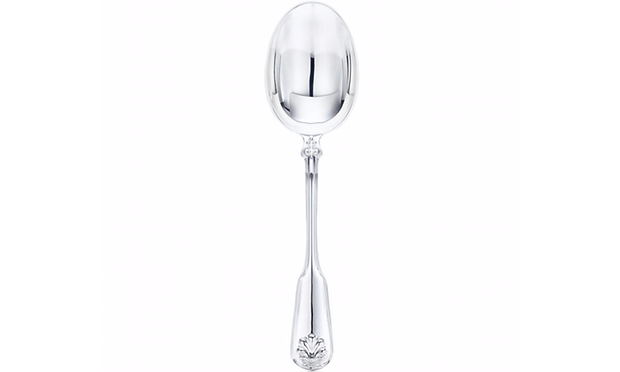 This would be a pretty random gift, but some people think the box could contain this sleek silver vegetable spoon. It’s a pretty practical gift and only costs £280 ($350). 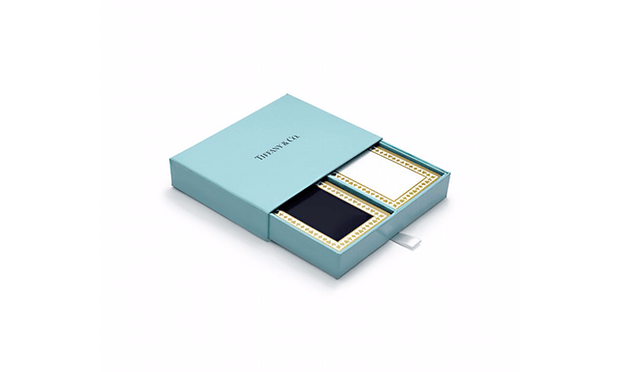 With Obama proclaiming himself a ‘pretty good poker player’, maybe Melania wanted to give them a personalised gift like this pack of Tiffany playing cards. At £28 ($35), maybe that’s cheaping-out a little too much for the previous president. I’m still really hoping it’s a framed copy of the speech.